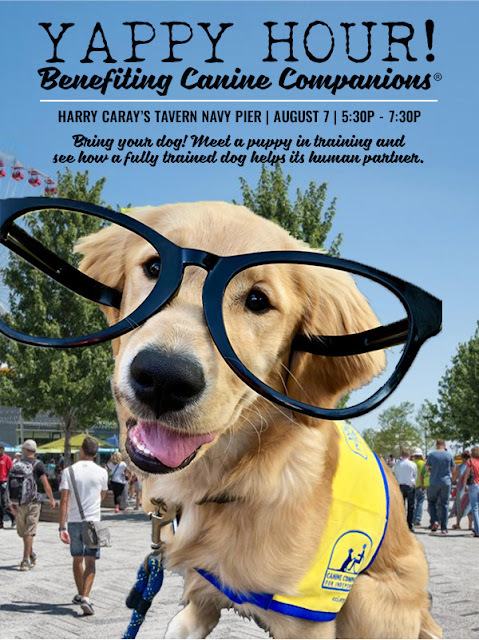 You and your dog are invited to join us on the lakefront patio at Harry Caray's Tavern, Navy Pier. You'll learn how highly trained assistance dogs enhance the lives of people with disabilities. You'll meet dogs from Canine Companions for Independence along with volunteer puppy raisers and and assistance dog team. All proceeds from the sale of our Howly Cow! cocktail will benefit Canine Companions to help them provide these spectacular dogs free of charge to children, adults, and veterans who have a disability. This event is free and opent to the public. Please RSVP to let us know you will be coming.